Budgets are more than numbers. They are a statement of what a Government values given scarce resources. On the 7 September, Treasurer Ben Wyatt delivered the first State Budget of the McGowan Labour Government. This Budget, delivered to fix WA’s “catastrophic financial situation” according to the Premier, sought to incorporate election commitments, while outlining a timetable for Budget recovery. If the Budget could be summarised into a single word, the word would be ‘restraint’. Restraint in terms of revenue raising measures (increases to Payroll Tax and Gold Royalties) despite the lower population ABS led $2 billion drop in GST revenue. 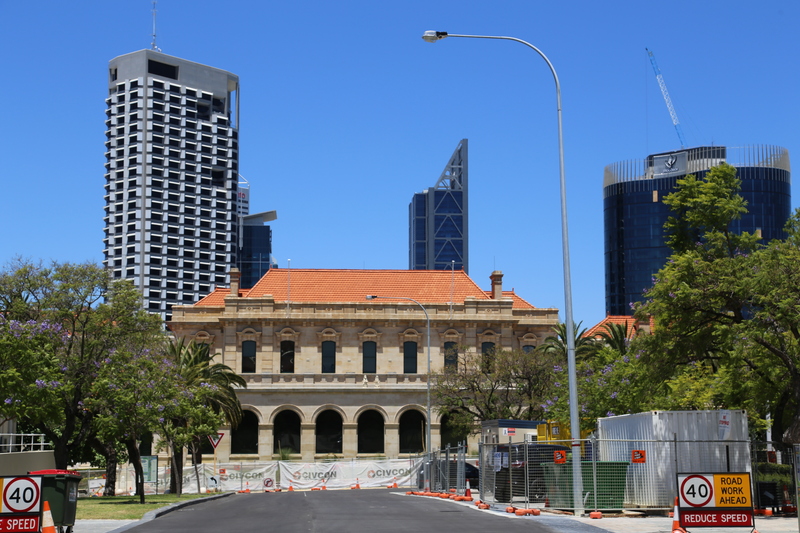 Rumoured increases to other royalties, property taxes and levies such as the Perth Parking Levy, failed to materialise. Restraint in terms that these measures focused more on the corporate and public sectors than households. In playing to the voters who elected them, tax increases on those seen to have the ability to pay, seem to be campaign material for their re-election. While tough decisions to an extent have been made, difficult decisions such as the sale of Government utilities, PPP’s and others have been pushed down the line. The closer to an election these decisions are made the more likely they are to be pushed to a second term of a McGowan/Wyatt government. Restraint in terms of public sector spending. A significant proportion of the Budget is recurrent funding to nurses, teachers and police. Being from a family with three immediate family members working in these professions, there is an appreciation that there will never be enough money to reimburse these professions for their service. At the same time, a smaller public service with more accountable deliverables, is key to rebalancing the Budget. For the property industry the loss of 3,000 public servants will have a negative impact on office demand from the State’s largest office occupier. While the Treasurer committed to “work overtime to ensure that the burden of fiscal repair is shared as fairly as possible across the community”, in cases such as Royalty for Regions, the Perth Parking Levy, Payroll Tax, it is clear that the burden is being shifted to a targeted few. More special purposes accounts are being created/used to replace funding previously derived from general revenue. Without top up funding from the Federal Government, which the Treasurer himself described as “ad-hoc” and “a drop in the ocean”, it is likely that a higher burden will be passed onto narrower sections of the community. Below are a selection of key numbers from the State Budget for the WA property industry. $1.2 billion – the infrastructure funding allocated to METRONET stage 1 over the next 3 years. $861 million – the amount of Royalty for Regions funding being used to fund regional projects previously funded out of general revenue. $435 million – the amount expected to be raised through the higher Payroll Tax rate. 20% of this increase will be funded from the three large iron ore miners. If we were going to target these companies, wouldn’t Brendon Grylls’ proposal have raised more income? $328 million – the seed funding for the establishment of a Debt Repayment Account. Any windfall amounts, likely stamp duty revenue from large commercial property sales, will be placed in this account to pay down debt and not to add to general revenue. $248 million – the missed revenue from lower commercial property transactions in 2016/17. $143.2 million – the amount invested in the Economic and Employment Land program. $127 million – the forecast impact on net debt savings from lower office space requirements and lease renegotiations for Government office accommodation combined with changes to the State Fleet policy and procurement settings. $104.8 million – amount of Metronet funding from value capture and land sales. The Planning Minister, in an address to the Planning Institute, stated that value capture measures would account for 20-30% of funding. It is likely that $70-80 million dollars of Government land will be brought to the market in the next 5 years. Will there be demand at the prices the land is likely to be sold at? $67.8 million – funding for the new inner city school in Subiaco. This is approx. $10 million more than the cost to convert a vacant CBD office building for a school. Given the level of vacancy and the impact on bringing families back into the CBD, this is a missed opportunity. 09 million – the number of people who used the free transit zone/CAT Bus in the Perth CBD at a cost of $15.3 million, paid for by the Perth Parking Levy. The usage of this service is forecast to drop by 2.9%, highlighting fewer office workers in the Perth CBD and West Perth. 20,000 jobs – the forecast growth in employment in WA. Which sectors will underpin this result? Technology, medical, education? 3,000 employees – the forecast drop in the size of the public service. Based on the outlined workspace ratio for State Government tenancies, this will reduce office demand by 15,000 sq m. Combined with relocating 30,000 sq m out of the Perth CBD over the next three years, the reduced space requirement of the State Government will offset leasing demands made across 2017. 4% – rate of the Foreign Owner Duty Surcharge to apply in 2019. Forecast to raise $49 million. Is this minimal amount worth the message it sends to international investors that Perth isn’t open for their business? International investors play a key role in apartment pre-sales. 3% – forecast growth of Gross State Product, up from 0.25% in 2016/17. The worst of times are over according to the Treasury. After 5 years of a domestic recession, the State is growing again after the end of the mining construction boom. 6% – the decrease in public transport use in the current financial year. This is after a 3% reduction in 2016/17. 0 – the amount allocated over the forward estimates for the formation of Infrastructure WA and the development of a State Infrastructure Strategy. 0 – No increase in Land Tax in 2017/18. Given forecast lower valuations, many taxpayers will pay less this financial year. Due to past increases, property taxes were kept at current high levels. Given the deficit, isn’t the most likely movement in these taxes up in next year’s Budget not down?